IIT-Delhi achieved the country's highest position, ranking 42nd in electrical engineering. MUMBAI: Four Indian universities, including the IITs at Delhi and Mumbai, are among the global top 50 in at least one of the 30 disciplines covered under the QS World University Rankings by Subject. IIT-Delhi achieved the country's highest position, ranking 42nd in electrical engineering. IIT-Bombay was 49th in electrical engineering and 50th in civil engineering, IIT-Madras 49th in civil engineering and the Indian Institute of Science 46th in materials science. No course from Indian universities figure in areas such as arts, humanities and social sciences. IIT-Bombay is the only one in the top 200 in any of the five arts and humanities disciplines, ranking in the 151-200 grouping for linguistics. The five life sciences disciplines feature only two Indian institutions, while India draws a blank in six of the eight social sciences disciplines. The exceptions are statistics, in which five Indian institutions— IIT-D, IIT-Kharagpur, IIT-Kanpur, Indian Statistical Institute and IIT-B — feature, and politics, in which Jawaharlal Nehru University appears in the 101-150 grouping. 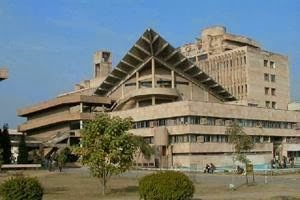 All round, IIT-B emerges as the top institution with four of its courses making it to the rankings. "The IITs continue to perform well in their specialist areas and the inclusion of three of them in the global top 50 in the engineering disciplines shows that they are starting to achieve genuine international renown," said QS head of research Ben Sowter. On the other hand, the lack of world-renowned Indian programmes in arts, humanities and social sciences continues to be a concern, Sowter said. "The absence of Indian universities from the top 200 in subjects such as medicine, law, economics, accounting and finance underlines the difficulty India faces in reversing the tide of talented students leaving the country to study these disciplines abroad," he added. "The latest QS rankings highlight the excellence of the specialist Indian institutions in the STEM (science, technology, engineering, and mathematics) area and also identifies the need to improve the global competitiveness of our universities, in particular the large and comprehensive institutions," said Mohandas Pai, chairman, ICAA — Indian Centre for Assessment & Accreditation.